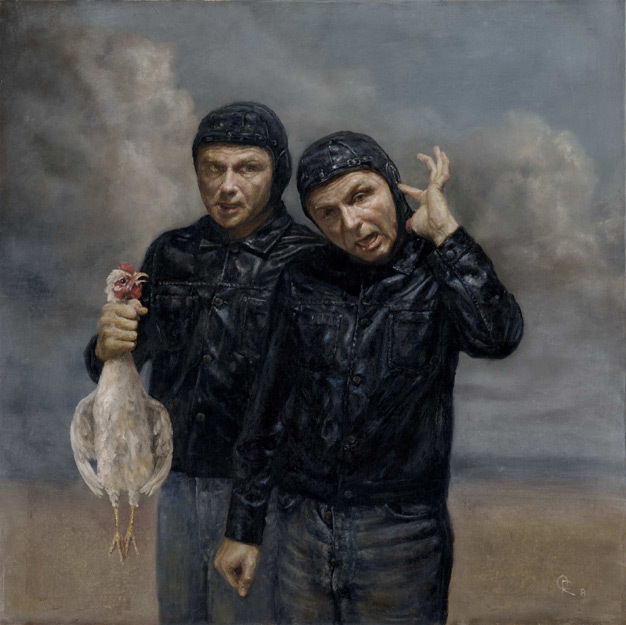 Kudos from Pang-Chieh Hsu: "The image creates a cockamamie impression. 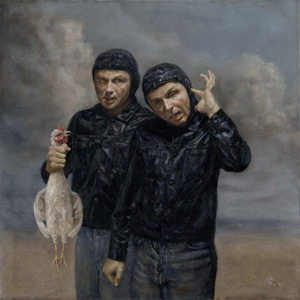 The men in the painting subconsciously make nonsensical gestures like picking the ears and holding the chicken's neck. The techniques are great."